Human Being Society Join the human race today! Los Angeles artist Madam X, Gail Bates. SallieONeill.com Los Angeles ceramic sculpture artist. SaraSwan.com Silver Lake, California, artist. StevenGelberg.com 35 mm black and white Bay Area photographer. artandspirit.net Los Angeles artist and instructor Linda Jacobson. Rocky Mountain Mike political parodies and comedy (music). ClayDaddy.com one of a kind polymer clay creations from the imagination of Jim Jenkins. NightmareDoll.com Nightmare Doll One-of-a-kind Art Dolls - this is Jim's wife Sue. Her work includes pieces from the scary political environment too. How the Surrealist Movement Shaped the Course of Art History, by Jon Mann, Artsy Editorial. gravityglue.com Michael Grab balances river rocks. Ohr-O'Keefe Museum of Art featuring the ceramic works of George Ohr (1857-1918), other exhibits, and buildings, including the Pleasant Reed House and buildings by Frank Gehry. Linda Storey-London painter, art instructor, Scottsdale. sandfantasy.com Ilana Yahav draws with sand on a glass table. Voice Deity Jim Ward, Emmy award winning voice artist. VladimirKush.com surrealism with galleries in New York, Maui, and Laguna Beach. Stewart Lane Ellington Original oil and acrylic paintings on canvas addressing themes of language, identity and the nature of being. Women Artists and the Surrealist Movement by Whitney Chadwick. Dada and Surrealism (Art and Ideas) by Matthew Gale. La Princesse de cire-un conte cruela fairy tale The Princess of Wax: A Cruel Tale, illustrated by French Surrealist Anne Bachelier. 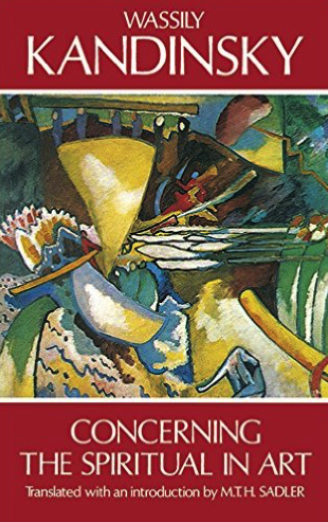 Concerning the Spiritual in Art, by Wasilly Kandinsky. One of the most important documents in the history of modern art. Essential reading for all artists. Joseph Cornell's Theater of the Mind: Selected Diaries, Letters, and Files, by Mary Ann Caws (Editor), John Ashbery, Robert Motherwell (Introduction) Offers greater access to the mind and heart of one of this century's most unusual and innovative artists. Between Lives:An Artist and Her World, by Dorothea Tanning. A noted American artist born in Galesburg, Ill., Tanning lived in a milieu of European creativity as wife of the surrealist painter Max Ernst (1888-1976). Surrealist Art (World of Art), by Sarane Alexandrian. Sarane Alexandrian traces the development of surrealism from its origins in the Dada anti-art revolt of 1916-1920 to the death of its guiding spirit, Andre Breton, in 1966. Use this window to search Amazon.com! Walter Anderson Museum "Celebrating man's harmony with nature," in Ocean Springs, Mississippi, is the foundation and home of the artwork of Walter Anderson (1903-1965). Dusti Bongé Art Foundation home for the work of Dusti Bongé (1903-1993), pioneering modern artist of the twentieth century. Michael Cheval Surrealistic Oil Paintings, Drawings, Portraits, Books & Artist's Info. JohnHumble.com Los Angeles photographer displays amazing shots of the city and L.A. River. Ka Gold Jewelry Authentic Sacred Jewelry and Talismans for healing, self balance, and unity, by artist David Weitzman. KillmanArt.com watercolors by Kris Killman. Remedios Varo Lesser known great woman Surrealist 1908 - 1963. Galerie-boldyreff.com Galerie Natalie Boldyreff - fine art gallery in the heart of Paris, near the Louvre. Finity Unlimited Cliff Finity, surrealist painter, illustrator, and web designer, Port Townsend, WA. BuddhaBoard.com Draw with water and then see it disappear.